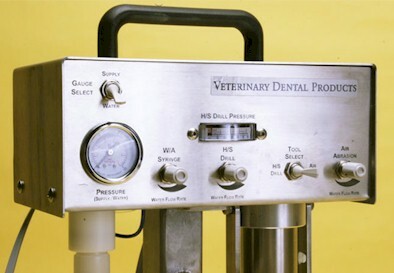 The premier instrument for veterinary professionals in the treatment of periodontal and endodontic procedures. The system comes complete with its own mobile cart which has large pneumatic tyres to assist you in moving the unit from place to place. You can also choose to remove the unit from the cart and it can be used as a counter top system too. The system runs quietly using a nitrogen cylinder (which the practice provides themselves). It also includes all extended hand pieces, gauges and a routine maintenance manual. 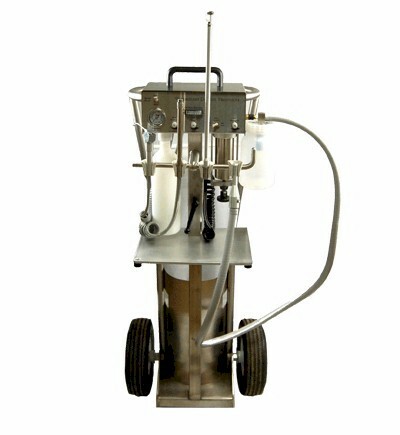 The high speed drill can also be adjusted to low speed for certain procedures.